Did you record audio for your project at a location that was less than suitable for recording a clean dialogue track? Or maybe the performance just wasn’t what you were hoping for and you’d like another shot. Whatever the reason, we can work with you to get the perfect take, using industry standard workflows and tools. 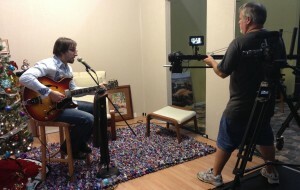 We can also help you record your own music or demo, right here in our studio. First, we’ll help you record whatever instrument you’d like, then play that back via studio headphones and record the lyrics until you get them just the way you want! Don’t need to record them separately or would rather get a live performance? We can do that too, so no matter what you’re looking for, give us a call, and let us help you record your next hit single!